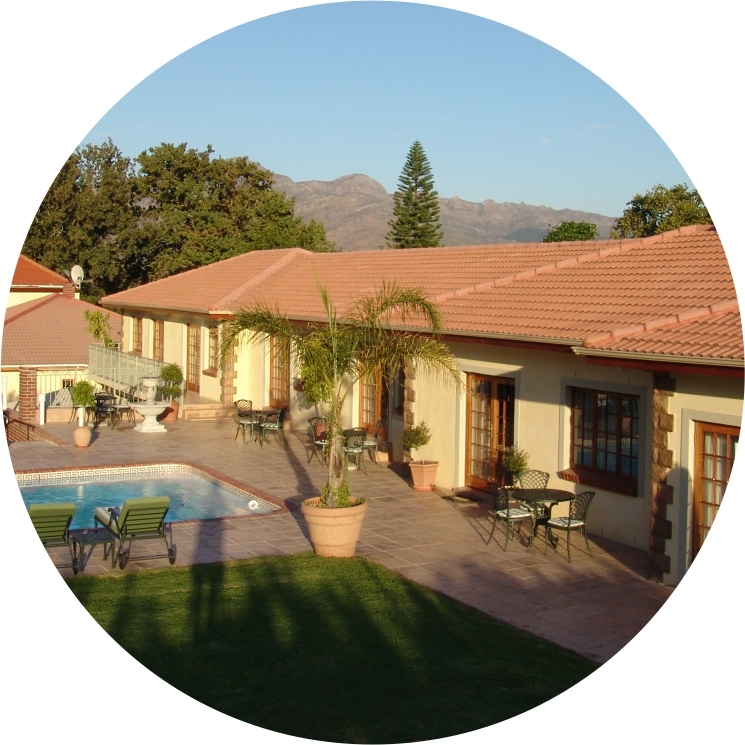 Accommodation options include standard rooms, garden rooms and a stunning garden suite. Your comfort is our main concern while visiting our beautiful region. Wake up to a hearty breakfast served in our sun splashed dining room or outside on the veranda overlooking mature oak trees and with views of the majestic Du Toitskloof Mountains. – Continental, Full English/Irish, Vegetarian, Vegan, Halal, Gluten-free.